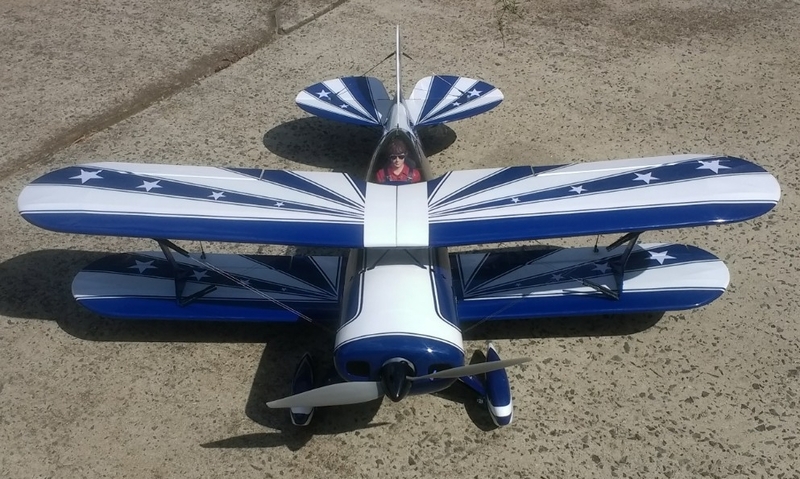 The Pitts S-2B from Kingcraft is an ARF model airframe in an all wood construction using balsa and plywood. 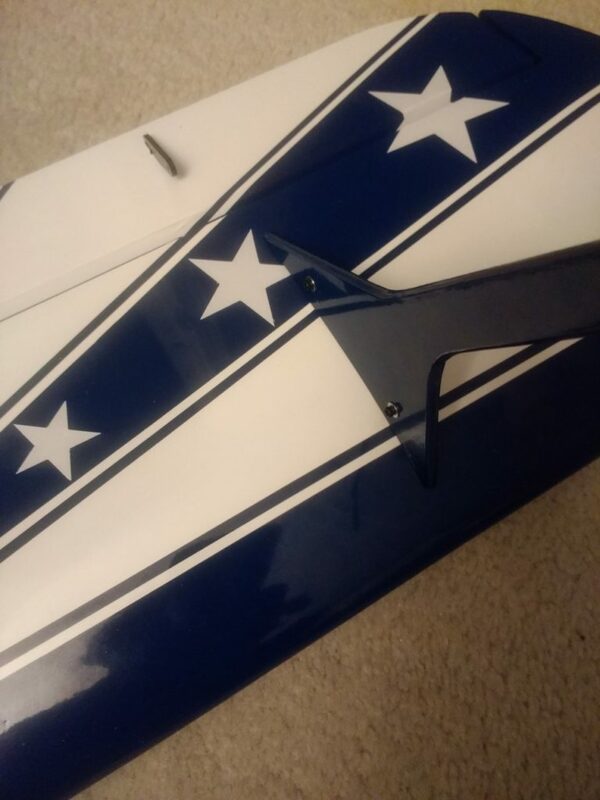 It comes with a painted lightweight fiberglass cowling. 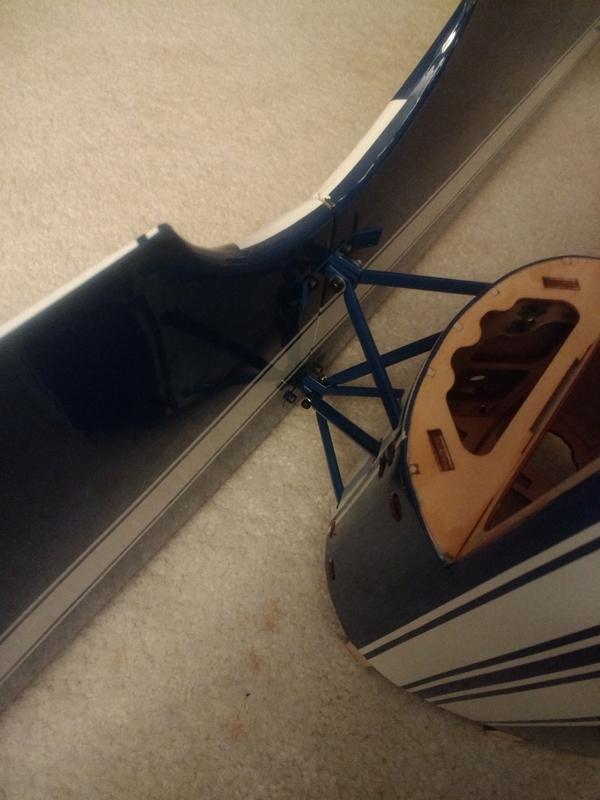 If you come from a builder background, you will appreciate the design details and the ultra scale dual cockpit with instrument panels which resemble that of the full-scale Pitts S-2B. 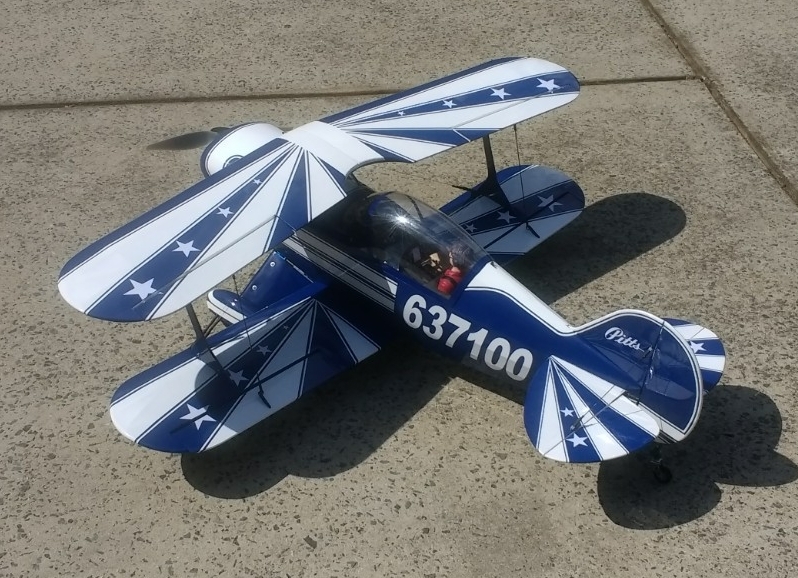 The manufacturing level and quality of this Pitts ARF is impressive, most of the woodwork is done by hand and not by machine. 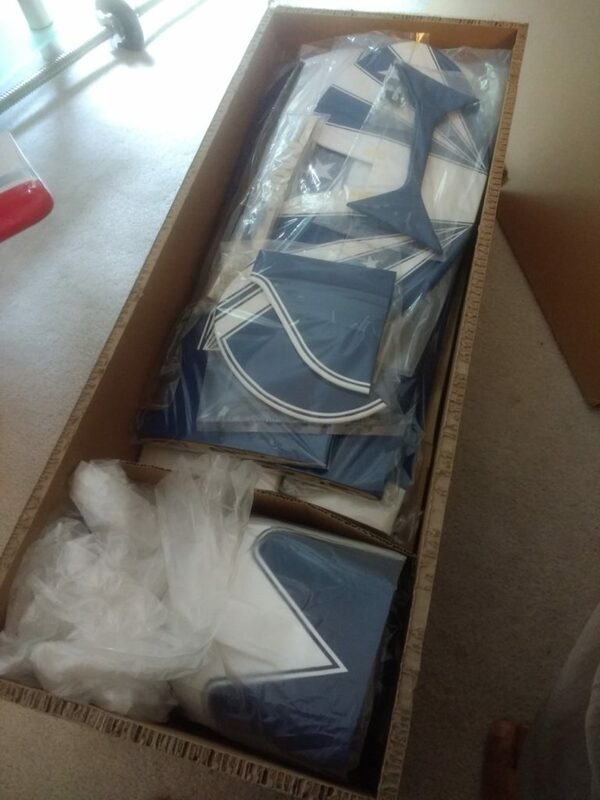 When I received my kit from HobbyKing, it came in a designer box with all parts well packaged. You should not judge the content by its cover, but it looked good to me and I was ready to get started when I saw the box and content. 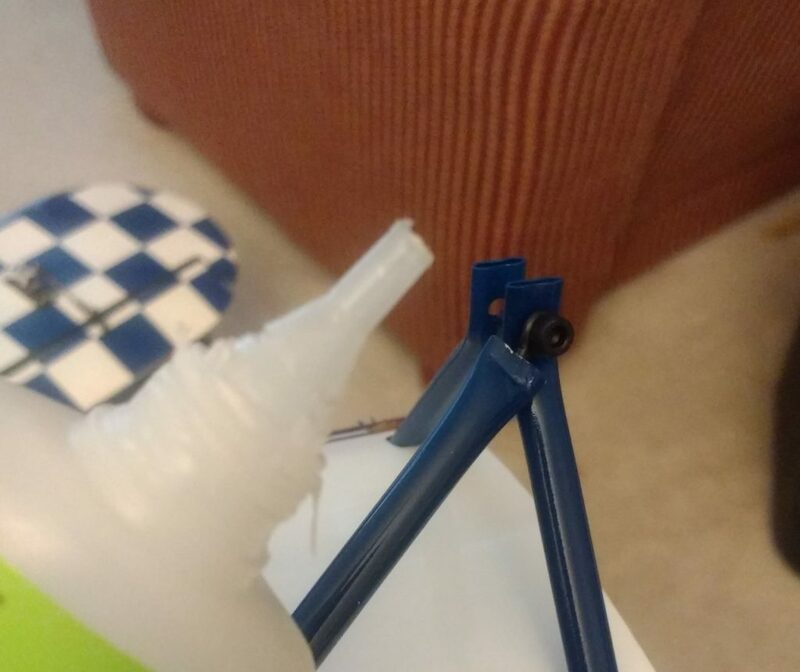 Each part was packaged very well and no part was found to be damaged. Even the box it came in was structurally strong. The Instruction Manual is well thought out and can help you put the plane together in a few evenings. There were a few things I chose to do a little different and I am sharing with you as follows. I started the build with the wings. 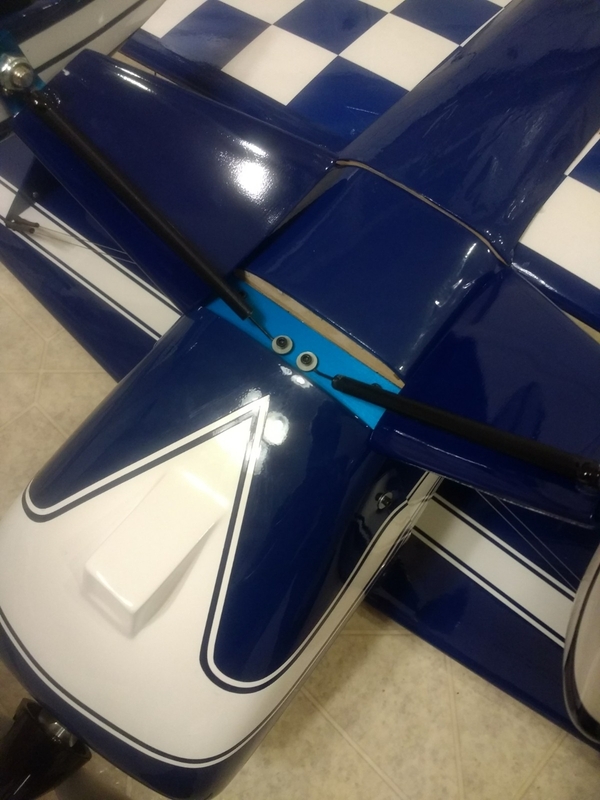 I was able to find the placement of the fiberglass horns and inter-plane struts by looking at their placement in the pictures and rubbing my finger over the area until finding the slots. I then took a knife an uncovered the slots. The servos were installed and wings were assembled. I proceeded to work on the fuselage and where the wings will attach. 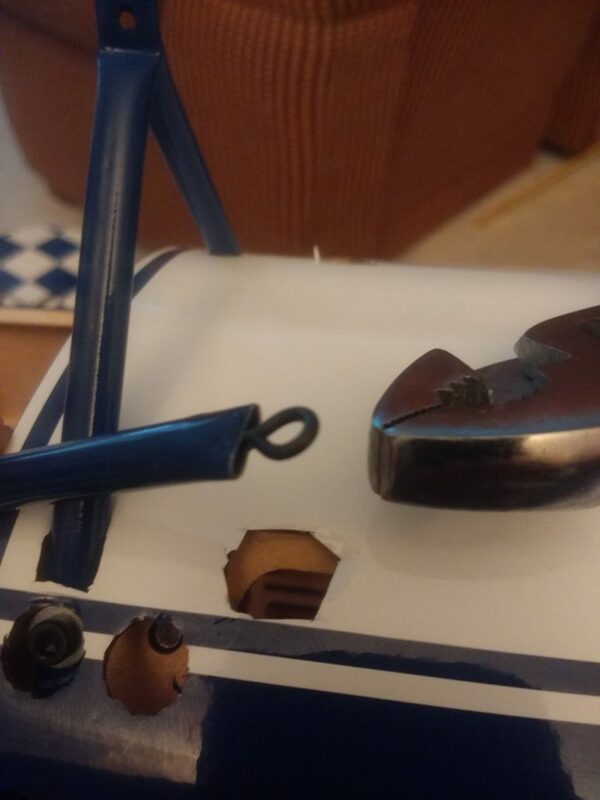 They supplied wood cross struts, however, I chose to use for the cross struts the aluminum tubes that were supplied for the landing gear suspension assembly. I had to cut ½” from each tube before inserting the ring wires and clamping them into the tubes. Line up the cross struts and tac glue them in place before inserting epoxy into the clamped ends. 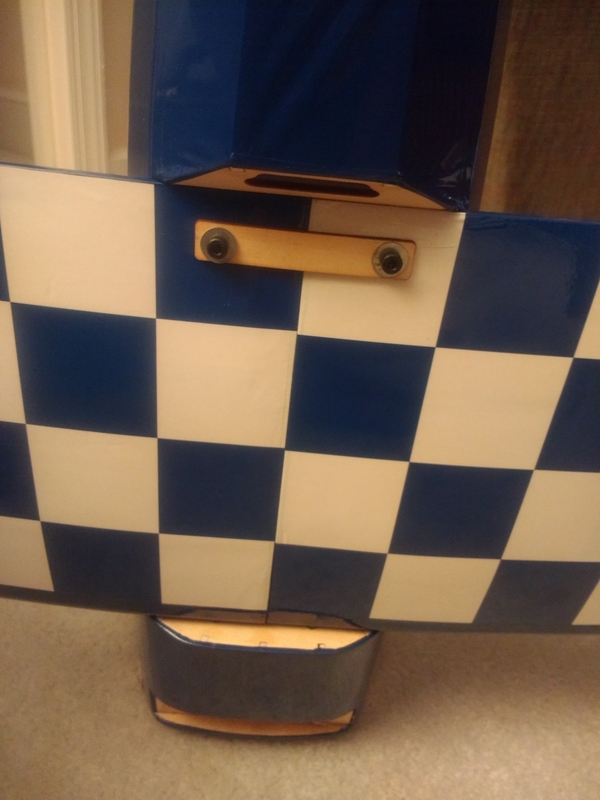 Slide the fuselage between the wings assembled and attach the front, rear, and cross aluminum wing struts. 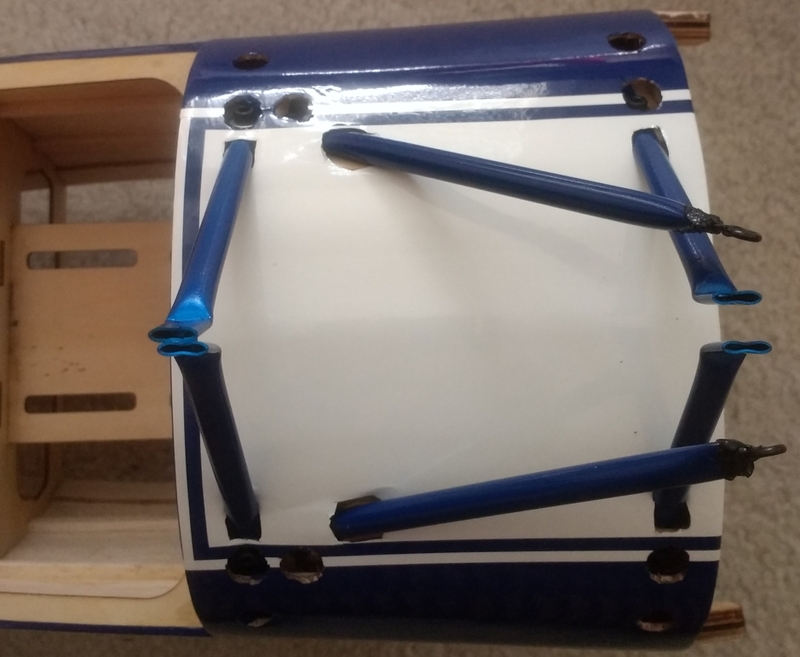 Since I chose to use for the cross struts the aluminum tubes that were supplied for the landing gear suspension assembly, I used a same size carbon fiber tube for the landing gear suspension assembly. 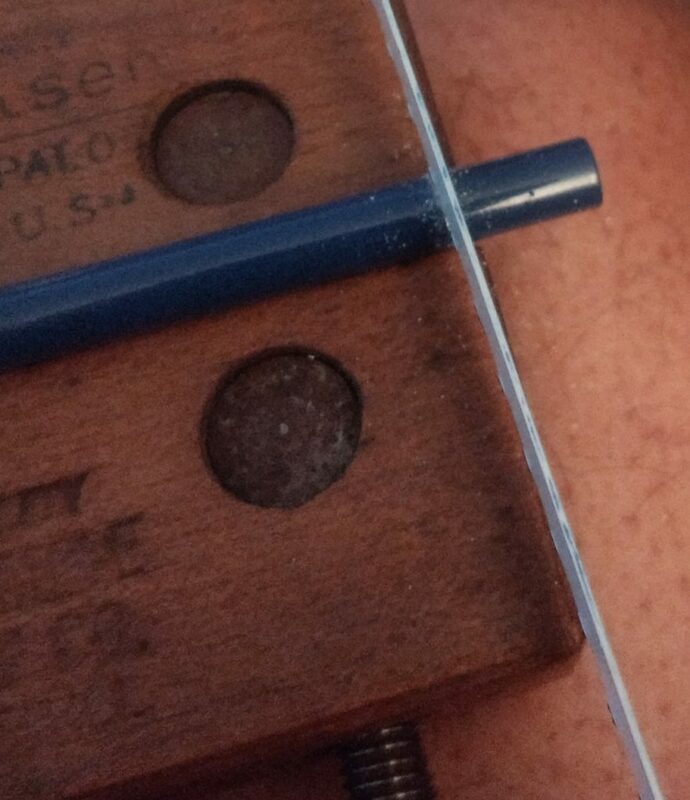 CA glue the little wood guides to the wire. The spring can just hook the wire ring when you insert assembled long wire in the other end. After assembling the landing gear suspension assembly they are attached to the bottom of the fuselage. 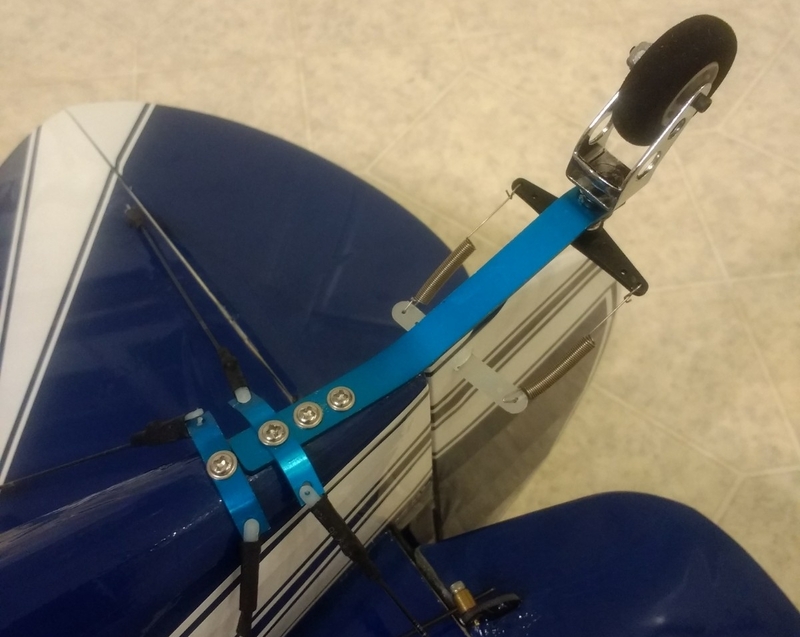 The Tail Wheel Assembly looks good but can easily bend if not a good three-point landing. 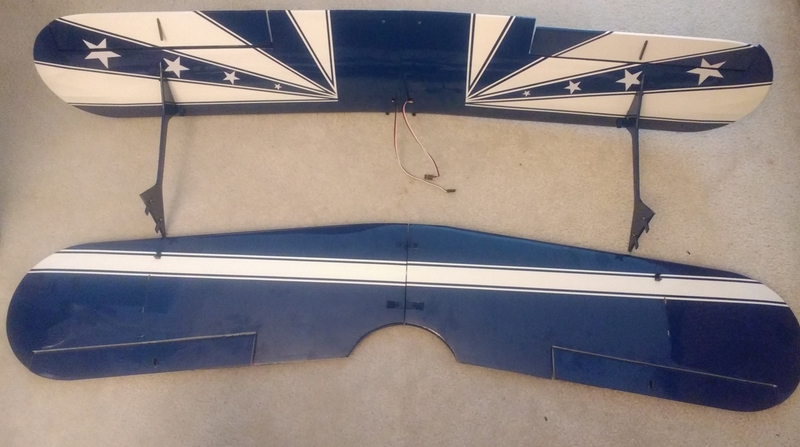 There was an alternate skid supplied in the kit I plan to add to the back of this assembly to reinforce for those hard tail landings.